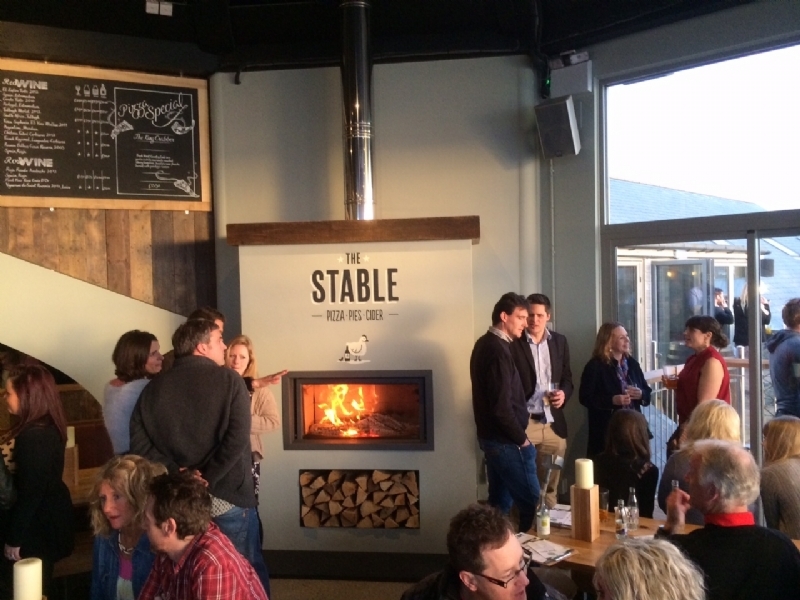 Stuv 21-125 The Stable Fistral Beach Newquay wood burning stove installation from Kernow Fires. Customers Aspirations: A modern eye catching fireplace on which the companies logo can be painted. The stove needs to have a high output and a modern feel. 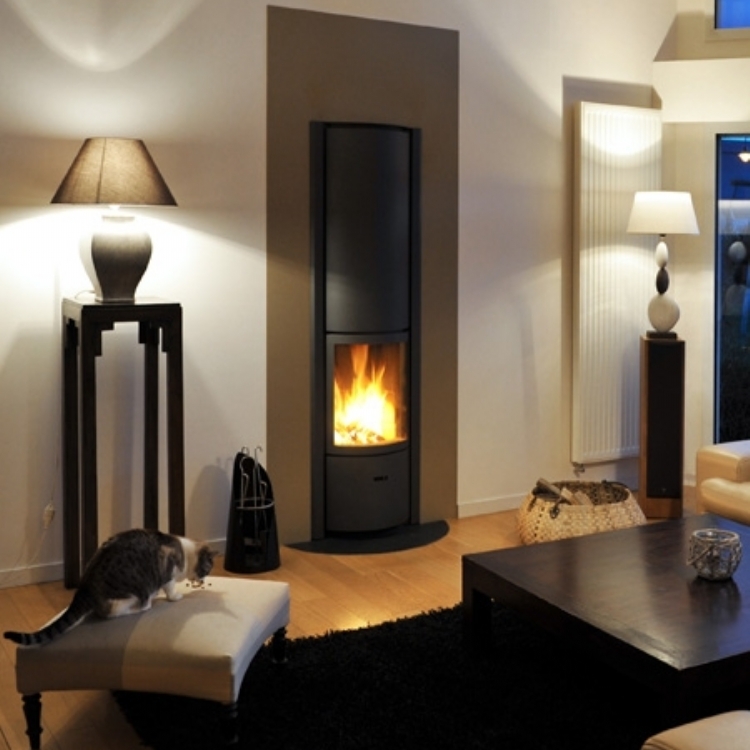 Special Requirements: Specially designed and built chimney breast and fire frame plus wooden lintel. 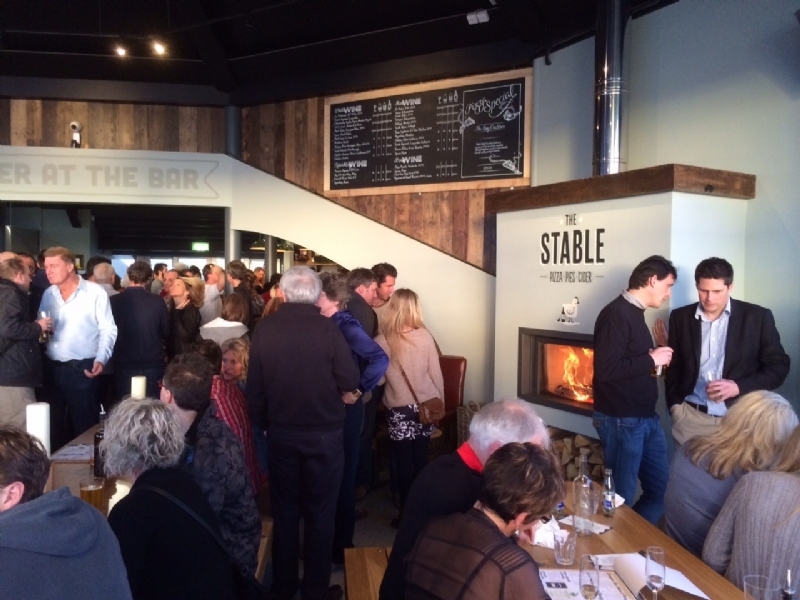 The Stable at Fistral Beach needed something to keep its large restaurant warm whatever the weather outside and the Stuv 21/125 was exactly the right choice. 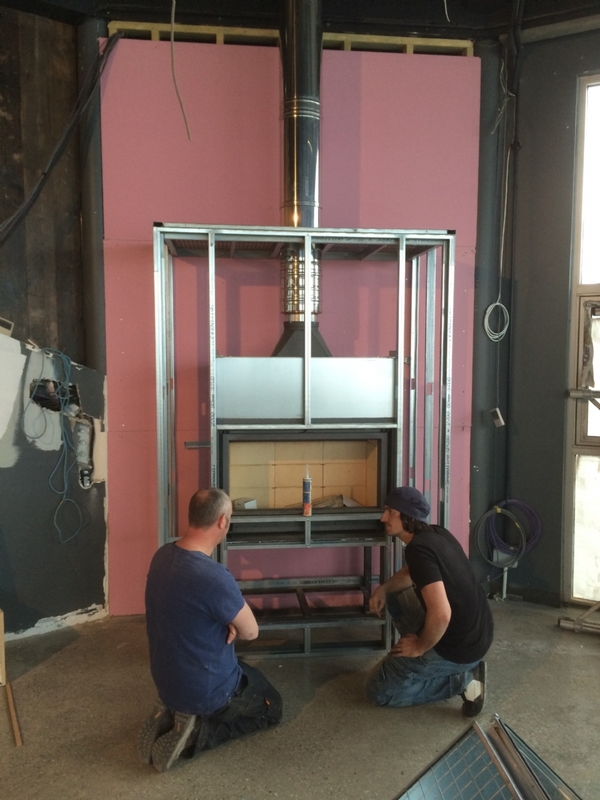 Working with the designers we were able to get the perfectly proportioned chimney breast in which the stove is supported and clad with heat proof board which could then be decorated to suit the restaurants theme. 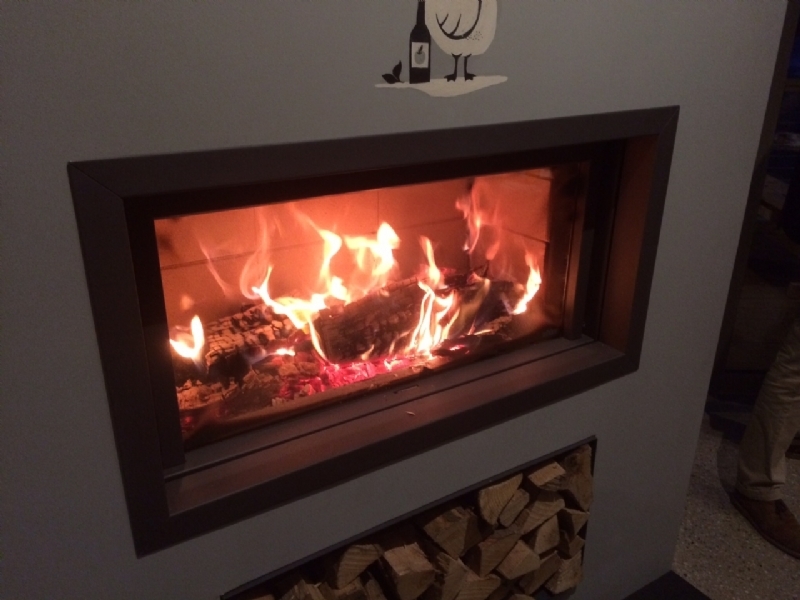 The sideways sliding door and fantastic flame within the fire has the eye catching effect required whilst heating the area perfectly.